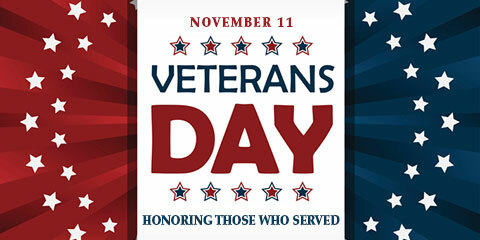 Let us make each and every day “Veterans Day.” Showing heartfelt appreciation and sincere thanks for those who have served our country should never be something that is relegated to one day out of the year. Develop a mindset of thankfulness and always give thanks to the veterans you meet on the street, in school, in church and throughout our communities. 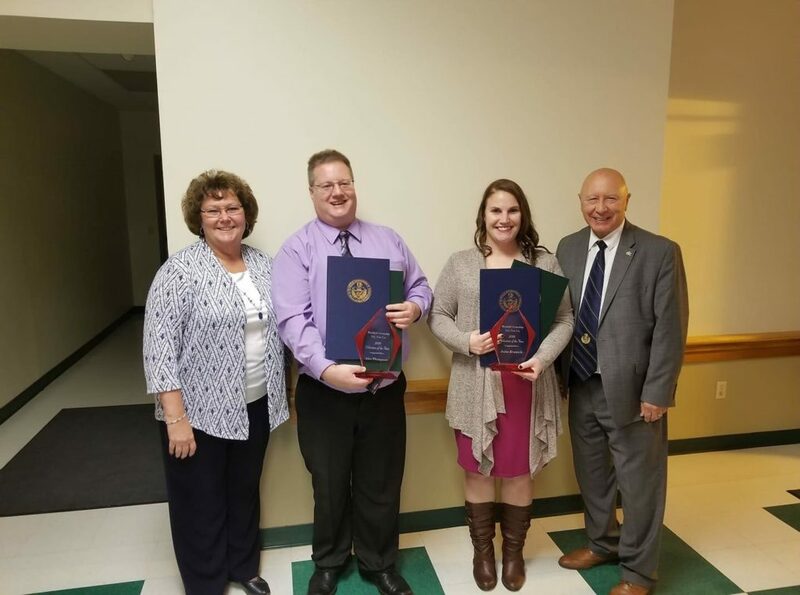 Congratulations to Alex Thompson and Julianne Kranich, who were recognized as Bushkill Township Fire Company’s Volunteers of the Year. Thank you both for your tireless work on behalf of our community. 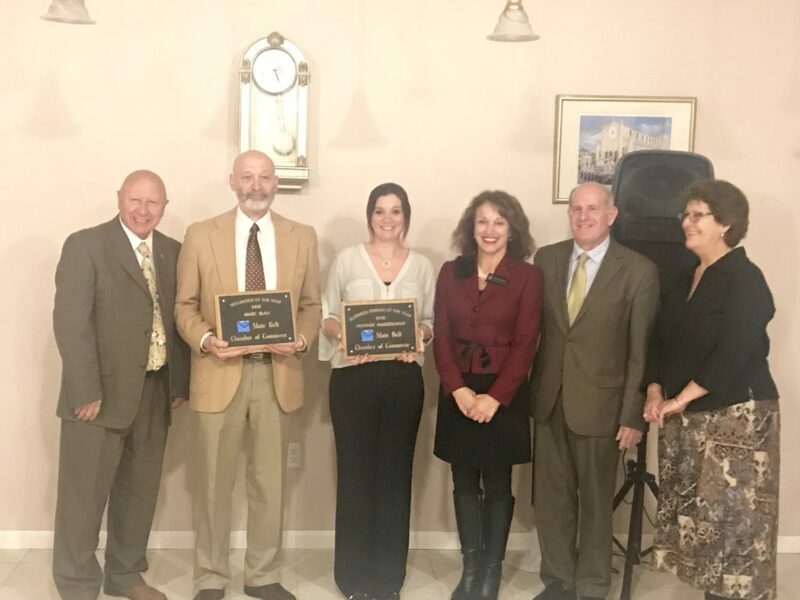 This week the Slate Belt Chamber of Commerce recognized two individuals at their annual awards dinner for their contributions to the Slate Belt Community. Heather Marzigliano, owner of Grace on Broadway, was awarded 2018 Business Person of the Year and Marc Blau was recognized as 2018 Volunteer of the Year. In addition to providing the highest quality service at her business, Heather continually gives back to the community and is a key member of the Bangor Business Association. Marc is a retired history teacher who has given much time and effort to the Slate Belt Heritage Center, developing the Slate Belt Historic Driving Map and operating the Heritage Center’s Annual Golf Tournament. Thank you both for your outstanding efforts on behalf of our community. On December 15, more than 8,000 volunteers will place wreaths upon veterans’ graves at Pennsylvania’s Indiantown Gap National Cemetery as part of Wreaths Across America. 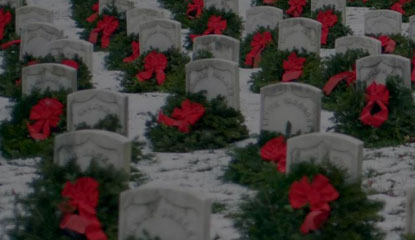 The goal is to place a wreath on each of the 38,000 military graves for the Christmas, and more than 30,000 wreaths are needed to reach the goal. The group came up more than 7,000 wreaths short last year. You can sponsor a wreath for $15 here. 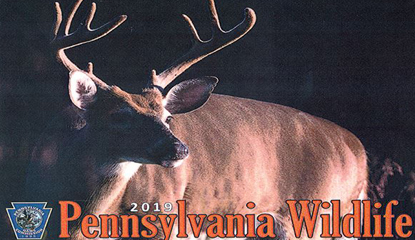 The purchase of PA Game Commission 2019 wild bird calendars and wildlife calendars raises money for wildlife conservation. Each calendar is 10 1/2 x 13 inches, printed on quality stock and features an exceptional wild bird or mammal color photograph each month. To purchase Game Commission calendars, visit a Game Commission region office, a vendor or the online shop. If you plan on visiting the historic State Capitol, check out the new app for self-guided tours, with maps and information on the building’s history and architecture, interactive games and other items to make the visit worthwhile. The self-guided tour includes the massive Rotunda, House and Senate Chambers, and Supreme Court. Explore the Capitol at your leisure between the hours of 8:30 a.m. and 4:30 p.m. on regular weekdays.